Exciting times are ahead of us as we look back over the last 60 years. We are very different today from the small agency that those caring family members started back in 1959. Do we measure up to their dreams? For certain we have gone beyond anything they envisioned, as times and society have changed we have changed with them. We have grown from the small school house on Lafferty Road to a full residential services program of 4 group homes, the SIL program, and an adult day program. With the continued support of our community we will continue to grow to meet the needs of the people of Quinte West who use our services. Thank you for 60 wonderful years! Can’t wait to see what the next 60 years have in store for us! 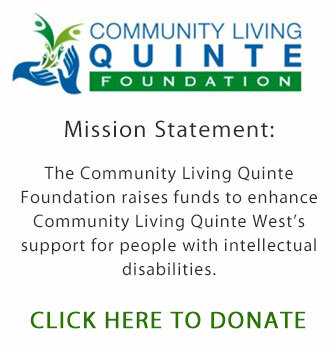 Community Living Quinte West willat all times support persons served to live, work, and participate as integrated and valued members of their community.